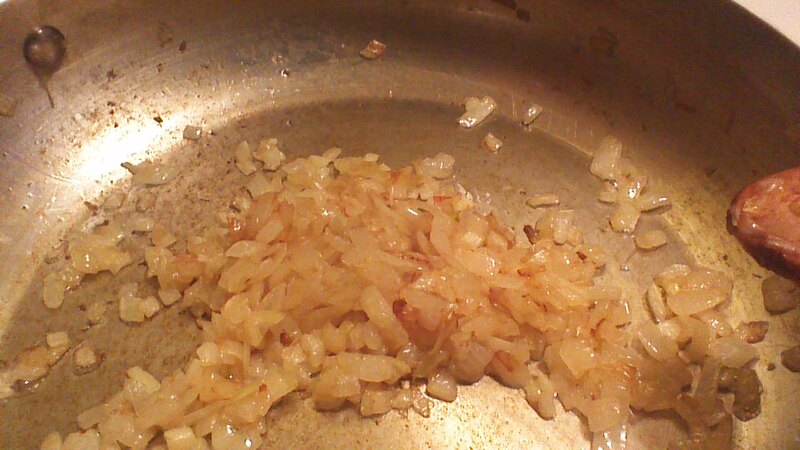 Step 1) Caramelize onion in butter by stirring constantly over low-medium heat for 10 – 12 minutes until onion is very soft and golden brown. Step 2) Slowly add vinegar, brown sugar, lemon juice, Worchestershire sauce, and molasses. Stir until well combined. Step 3) Add tomatoes and all remaining (dry) spices. Stir. Simmer gently for 15 minutes to thicken slightly and blend flavors. 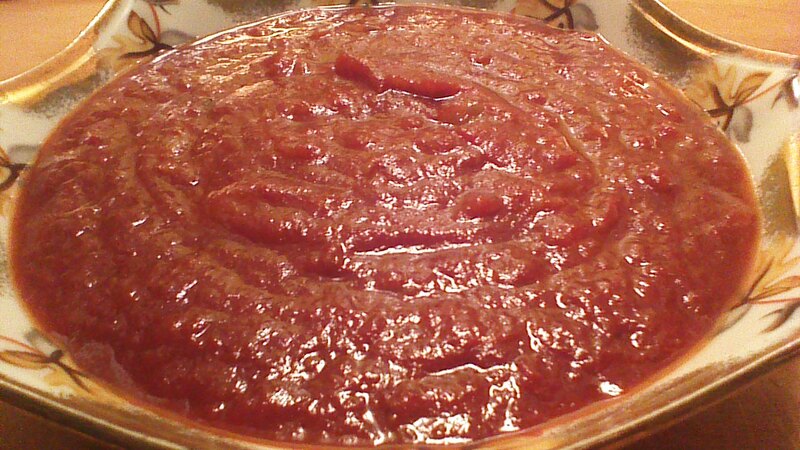 Serve as desired; store any leftover sauce in refrigerator. Meatball Hoagies: Spread BBQ sauce generously inside of fresh rolls. Top with cooked (hot) meatballs and provolone cheese. Party Snacks: Add desired amount of bite size sausages or ring bologna slices to a slow cooker. Top with BBQ sauce and stir. Keep warm and serve on a party buffet with toothpicks. Grill Accompaniment: Whether you’re grilling chicken, ribs, or something else, serve this BBQ sauce alongside! Better-than-cocktail Sauce: Try this BBQ sauce, chilled, in a shrimp cocktail. Delicious! Those refrigerated “peel and pop” cans of cinnamon rolls, ready to bake and complete with icing, are convenient. Truth be told, they don’t taste half bad. But homemade cinnamon rolls they are NOT… nothing made with ingredients you can’t pronounce (read the can!) quite compares to a truly homemade cinnamon roll. You’ll expend about 30 minutes of effort kneading, rolling, mixing, and slicing. Now, be honest… if you drive to the grocery store, pick out a peel and pop can of cinnamon roll dough, stand in line to pay for it, and drive back home, how long will THAT take? Go ahead – roll up your sleeves, and get ready to play with flour! 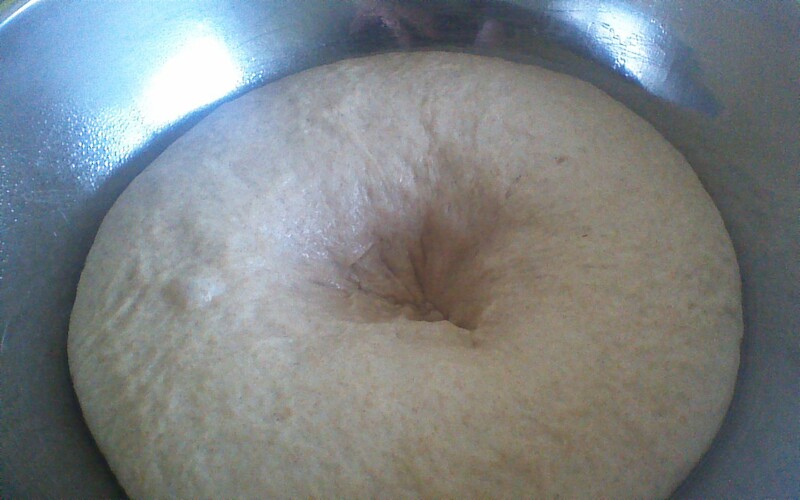 Step 5) Punch the bowl of risen dough a few times to release air bubbles (this is fun!). Knead on a floured tabletop for a few minutes. 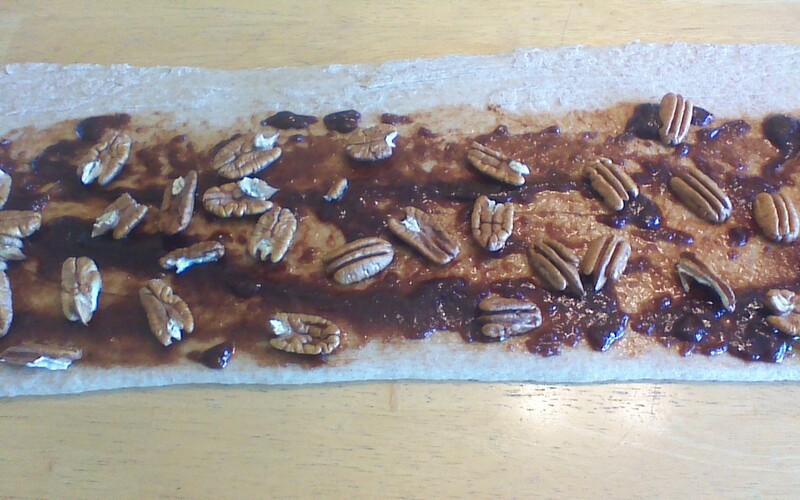 Divide dough in half, and roll into two long rectangles, each about 5 inches by 16 inches. 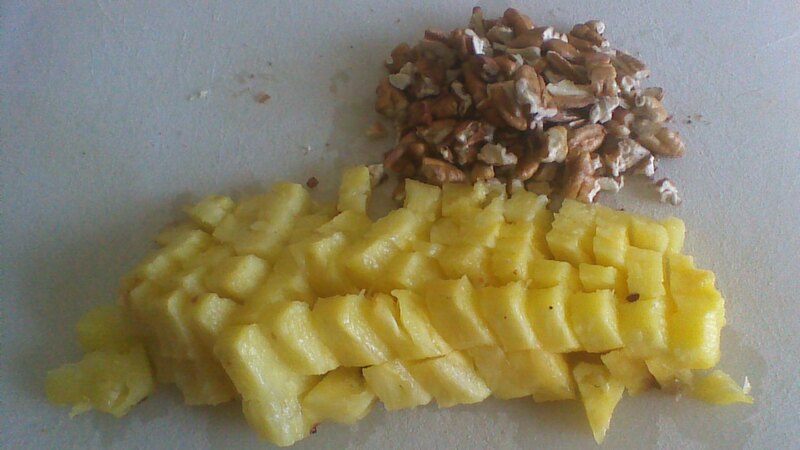 Step 6) Combine filling ingredients in a small bowl. Spread filling over dough rectangles, being careful NOT to place filling within 1 inch of one of the long edges, as shown above. Step 7) Carefully roll the long side lined with filling toward the long side with the plain edge. The plain edge should be on the bottom of your long roll when you are finished. We’re using gravity to help seal the rolls. Step 8) Slice each long roll into 1 1/2 inch slices. The easiest way to do this is with dental floss! Slide a piece of floss under the dough and “tie” a slice right through the roll. So easy! Step 9) Lay the rolls 2 inches apart on generously greased baking sheets. Allow to rest for 20 minutes. Preheat your oven to 350 degrees. 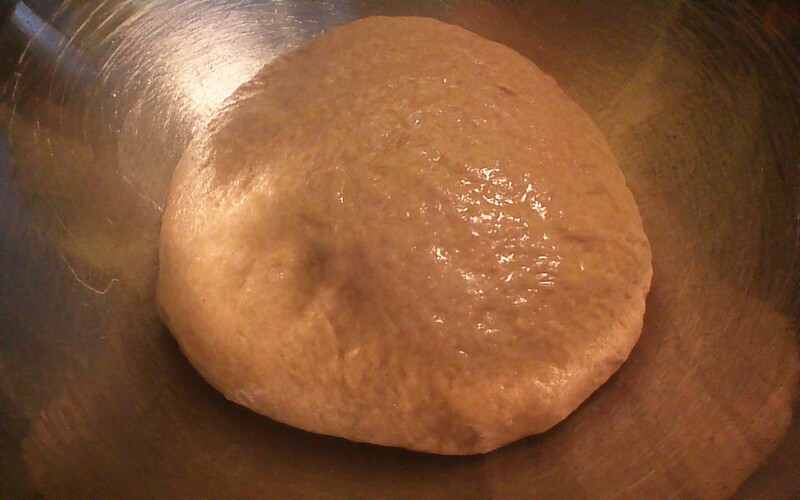 Step 10) Bake rolls for approximately 12 minutes, until the dough begins to turn a golden color. 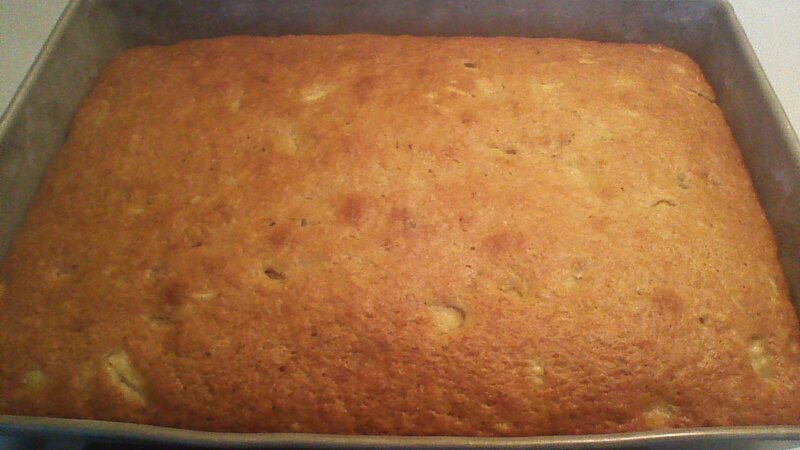 Carefully remove from baking sheets and allow to cool slightly. 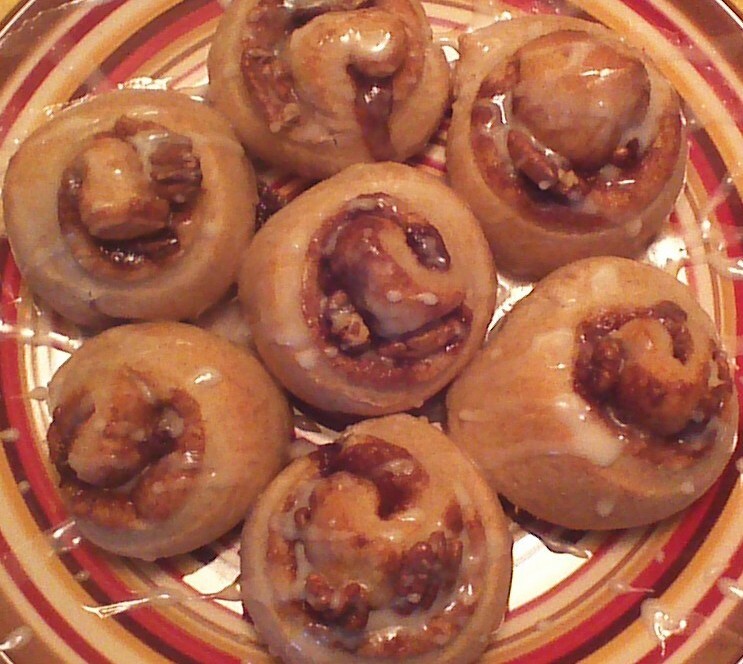 Step 11) Combine icing ingredients and drizzle over cinnamon rolls. Enjoy! Why do so many people insist on inflicting culinary torture on the poor, humble green bean? Few vegetables (cabbage comes to mind) are treated so badly, so frequently, by well meaning cooks. 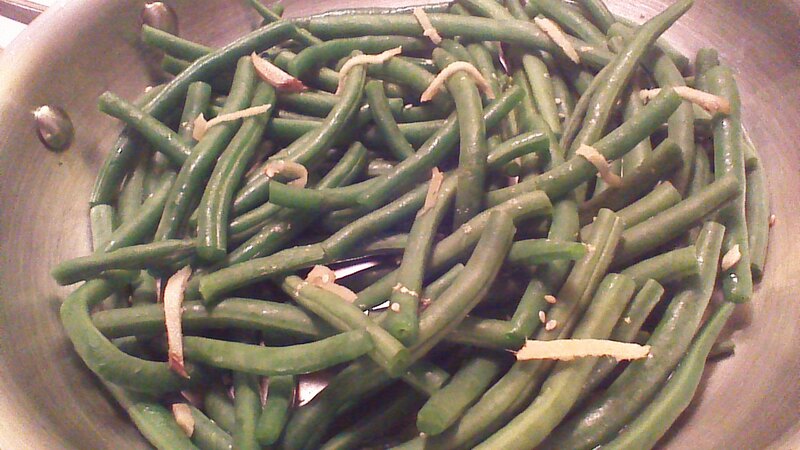 Perhaps green beans are simply too common to inspire much creativity, I don’t know. Whenever I see green beans boiled into oblivion, over buttered, over salted, and piled on a plate looking like mushy grey-green shells of their former selves, I have to wonder… how many green beans wish they had been born as artichokes instead? Here’s a five minute, five ingredient recipe that will restore a bit of dignity to the humble green bean while restoring a few of your taste buds. Enjoy! 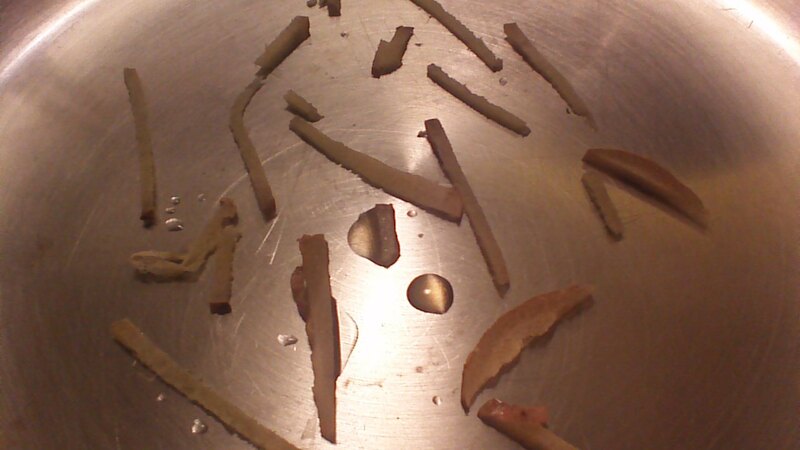 Step 1) Place ginger, sesame oil, and 1 tablespoon of water on the bottom of a skillet with a tight fitting lid. 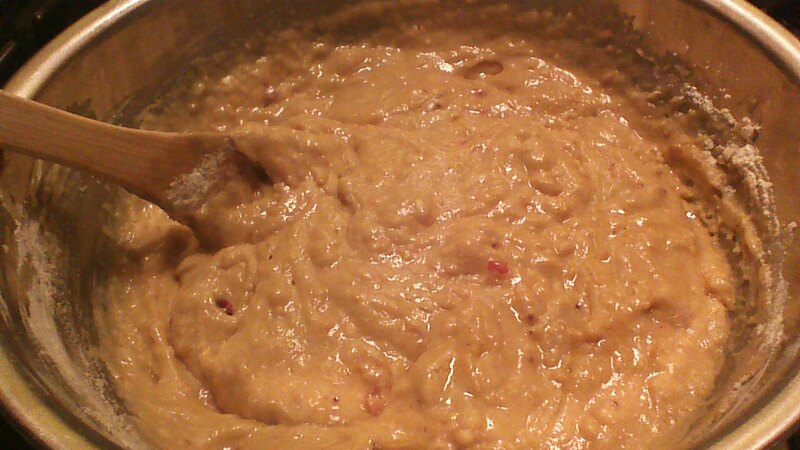 Step 2) Add beans, cover, and turn heat to medium-high for one full minute. Turn off heat, but leave lid on (don’t peek!) for three additional minutes. 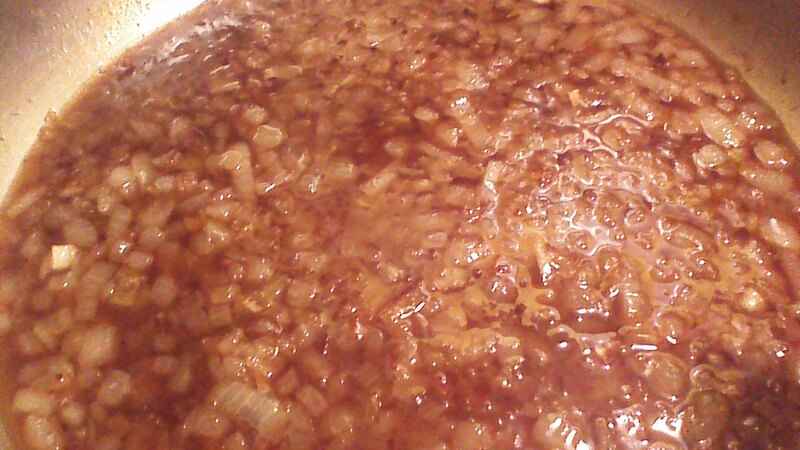 The beans will lightly cook, but will retain their crispness, in the resulting steam. Step 3) Remove lid and stir gently. Garnish with sesame seeds and sea salt. Serve immediately. Psst… January Freebie for You! We’re giving away one free copy of Lizzy & Jane, by Katherine Reay! How to Win: Mention Crowded Earth Kitchen posts on your Facebook or Twitter accounts! Every mention/link counts as one entry – enter as many times as you like! Elizabeth is a talented chef whose personal distractions are interfering with her cooking, which in turn is interfering with the profits of her otherwise admiring boss. Against Elizabeth’s wishes, a celebrity chef is brought in to temporarily assist in turning things around. Elizabeth doesn’t cope with this well, and takes a hiatus from the restaurant. At this point, the story seemed to invoke plot lines reminiscent of Barbara O’Neal, whose food fiction novels I greatly admire. However, when Elizabeth’s hiatus lands her on the doorstep of Jane, her estranged sister who is fighting a battle with cancer, the story becomes uniquely Katherine Reay’s. Full disclosure: I’m not a fan of cancer themes in fiction novels – not at all. I prefer engaging struggles that are, well, fictional (should the main character follow that amazing guy off into the sunset, or should she take the money she unexpectedly fell into and buy the orchard of her dreams… I like those sorts of fictional struggles!). Reading the gritty details of Jane’s drug treatments, side effects, and resulting family strain made my heart heavy. It was, however, a realistic and gripping portrayal of two sisters trying to repair their relationship, and eventually converted me to the strengths of such realistic fiction. Throughout the story, Katherine Reay expertly weaves Elizabeth’s cooking struggles effectively into the expanding plot. When Elizabeth turns her cooking talents to the task of preparing meals desirable to the palates of people struggling with food due to the side effects of chemotherapy, the reader is pulled into an aspect of cooking-for-healing that is rarely portrayed in books. 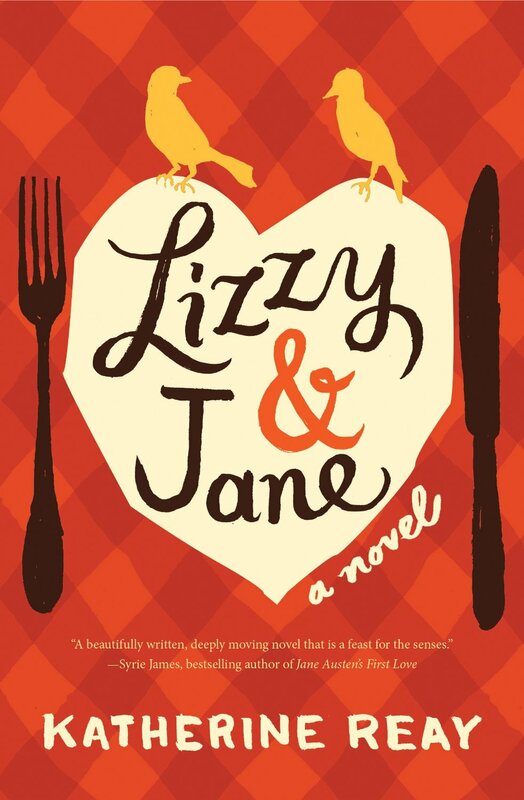 Lizzy & Jane is not a beach read… it won’t make you laugh nearly as often as it will tug at your heart. Nonetheless, for gripping “sister fiction” written with finesse, I highly recommend this book! Yes, I’m giving you sugary goodness two posts in a row. The cold weather has addled my brain… I’ll make up for it next week. 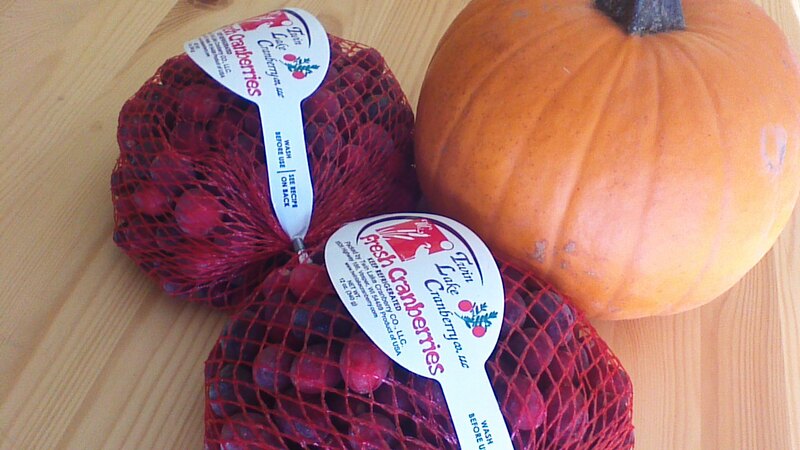 For now, we’re going to make seriously fabulous Cranberry Pumpkin Muffins using homemade Cranberry Pumpkin Sauce and homemade Spiced Cream Cheese Frosting. The Cranberry Pumpkin Sauce is delicious on its own… Half-Pint calls it “Pie Sauce” and will clean up his toys for a dish of this as a reward. 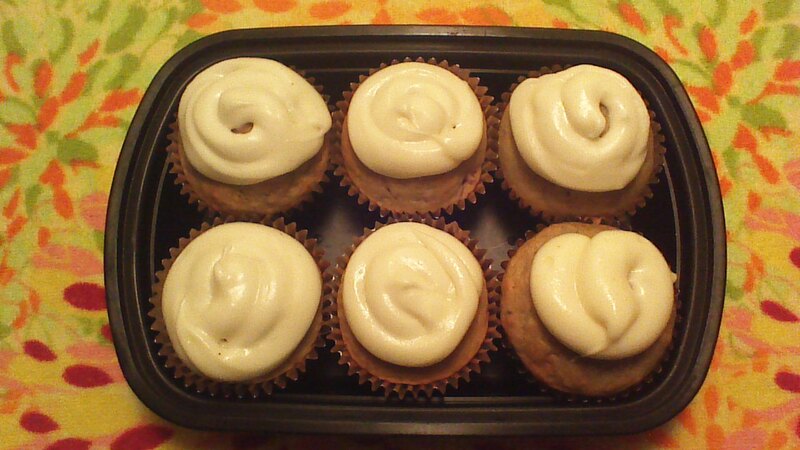 The Spiced Cream Cheese Frosting, well, if you just eat it with graham crackers or a spoon, who am I to judge? Let’s get started! Step 1) Whisk together first five ingredients in a large bowl. Step 2) Add remaining ingredients and mix well. Step 3) Line a muffin tin with foil liners, and fill liners halfway with batter. Step 4) Bake in a preheated 400 degree oven for 18 – 20 minutes, until a toothpick inserted into the center of a muffin comes out clean. 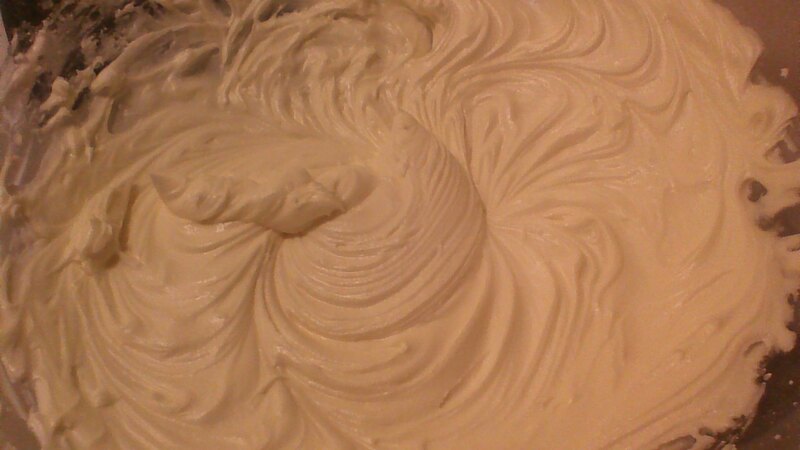 Step 5) Allow to cool, then frost with Spiced Cream Cheese Frosting (see below). Step 1) Cut pumpkin in half and scoop out seeds. Place pumpkin halves cut side down on a greased baking sheet. Bake in a preheated 375 degree oven for 90 minutes. Remove from oven, then proceed to the next step. Step 2) While the pumpkin cools, cook cranberries, water, and sugar in a in a large pot over medium heat until cranberries pop open. Remove from heat. Stir in cinnamon. Step 3) Use a spoon to scoop the pumpkin flesh away from the skins. 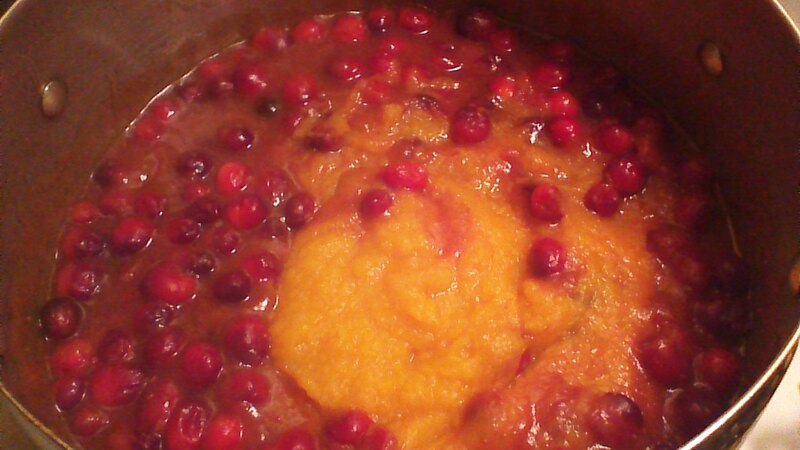 Add pumpkin flesh to the cranberry sauce, and puree with an immersion blender. 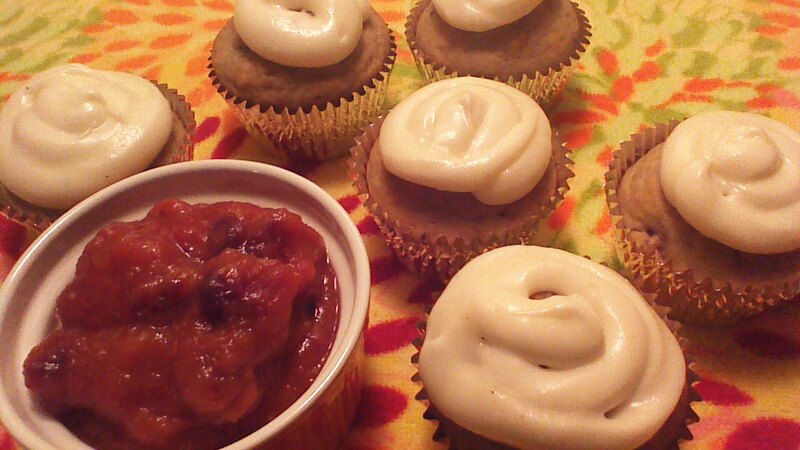 Save 1 cup of sauce for the muffin recipe; eat or freeze the rest! In a medium mixing bowl, combine 1 (8 ounce) package of softened cream cheese, 3 tablespoons of softened butter, 3 tablespoons milk, 4 cups of powdered sugar, 1/2 teaspoon ground cloves, 1/4 teaspoon ground nutmeg, and 1/4 teaspoon ground cinnamon. Blend with an electric mixer until well combined. If frosting feels too thick, add another tablespoon of milk. 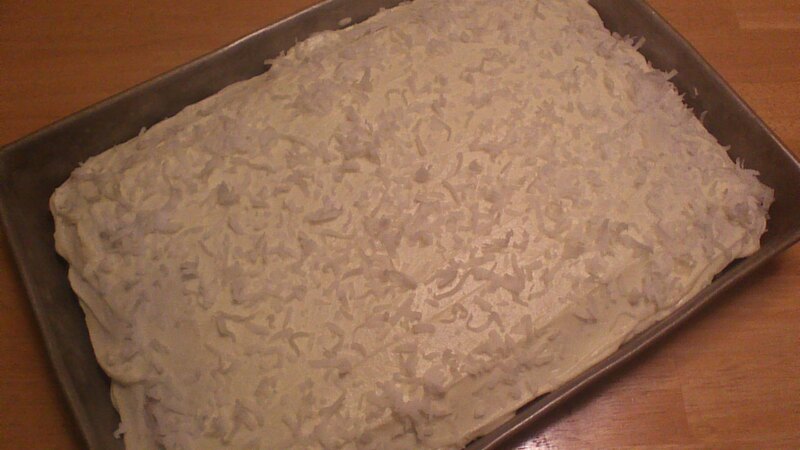 Baking a Tropical Island Cake with Coconut Rum Frosting while singing along (badly) to an old Bob Marley CD is my little way of wrinkling my nose at Old Man Winter. 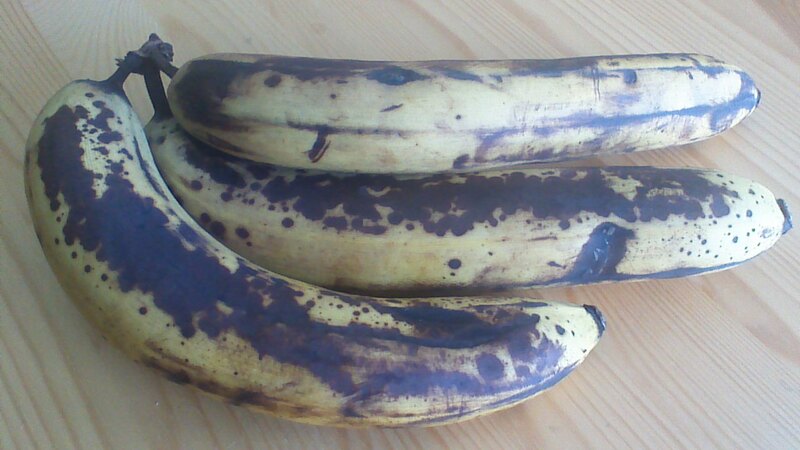 The wind and cold outside my kitchen window just don’t stand a chance against bananas and pineapple, coconut, rum, and reggae music! 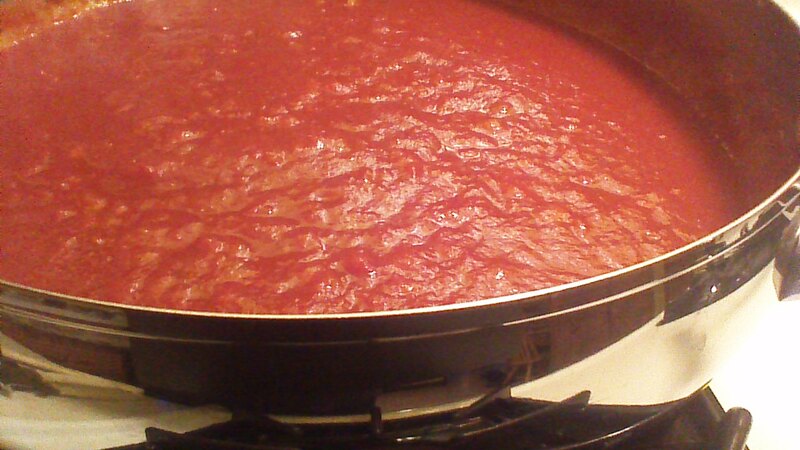 Step 1) Grease and flour a 9×13 inch cake pan. 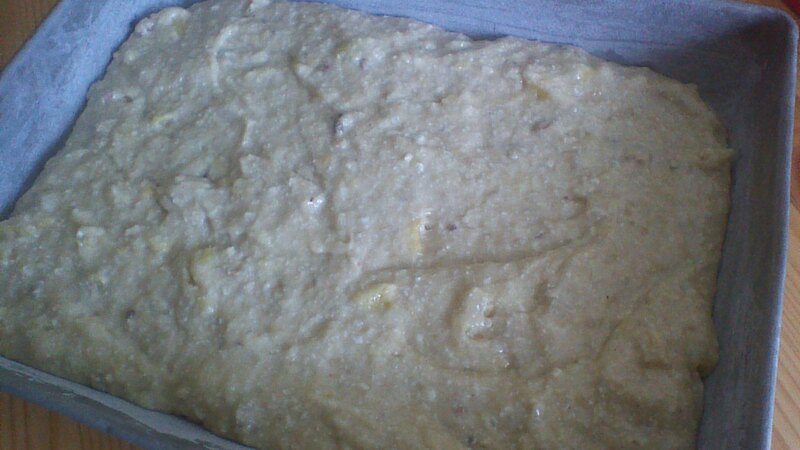 Step 2) In a large mixing bowl, cream together butter, eggs, mashed bananas, diced pineapple, and sugar. 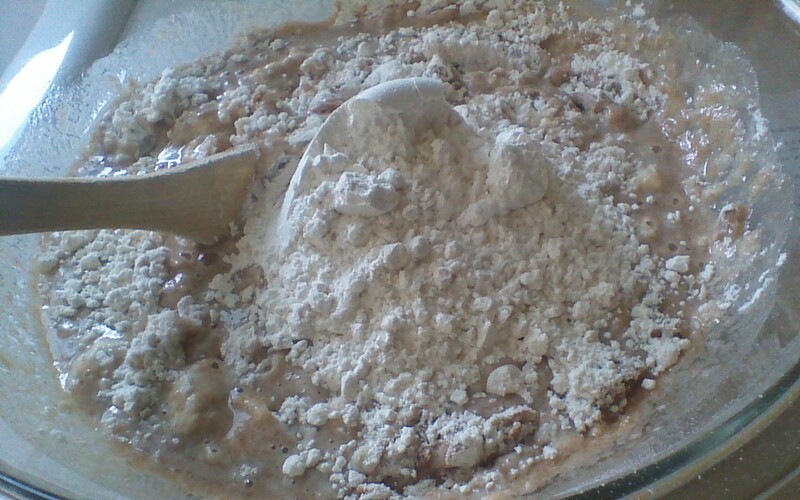 Stir in flour, baking powder, baking soda, salt, and chopped nuts. Step 3) Spread batter into cake pan and bake in preheated 350 degree oven for 30 minutes or until a toothpick inserted in the center comes out clean. Step 4) Allow to cool completely. 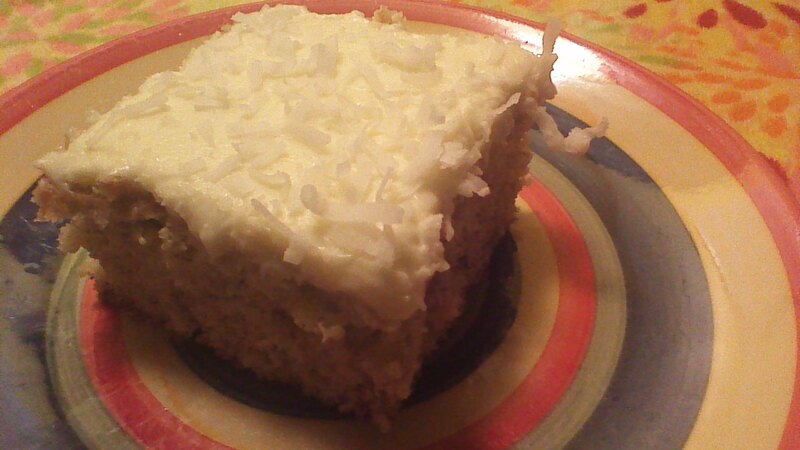 While cake is cooling, prepare Coconut Rum Frosting (below). Frost cake and sprinkle with coconut. Enjoy! This is a special occasion food, perhaps an idea to tuck away for a Valentine’s Day dinner or a loved one’s birthday. 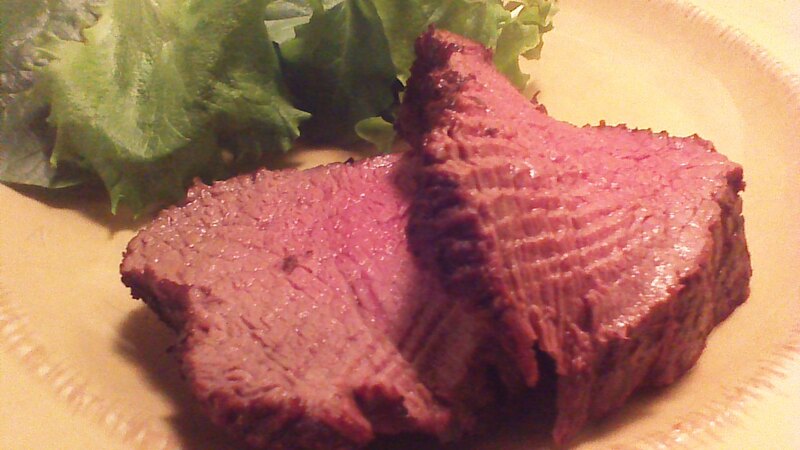 Beef tenderloin really does go on sale… not often, but when it does, I pick up a few pounds to tuck away in my freezer. It’s such a high quality cut of meat that it really doesn’t need much preparation and is pretty hard to screw up! Today, all we’re doing is giving this tenderloin a simple dry rub and roasting it in the oven. Seriously, it’s as simple as that. Cascabel peppers have a rich flavor and mild heat (with the seeds removed) that stands up well to beef and blends well with high quality cocoa powder for a surprisingly complex, warm dry rub. 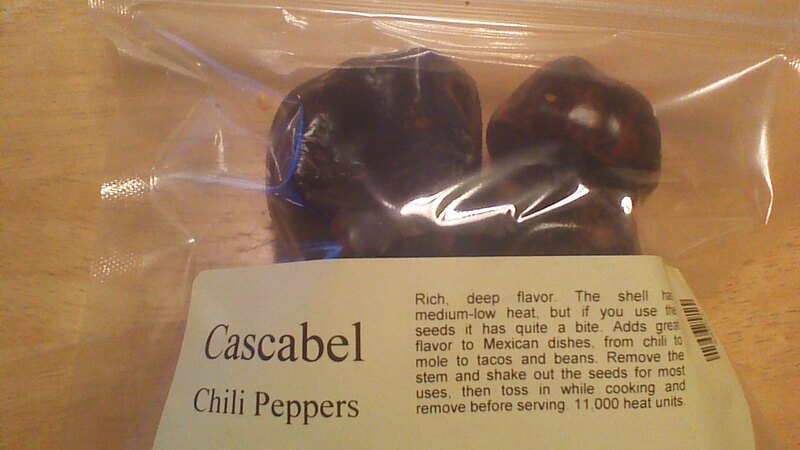 Step 1) Grind Cascabel peppers into a fine powder in a small blender or clean coffee grinder. Add cocoa and combine well. 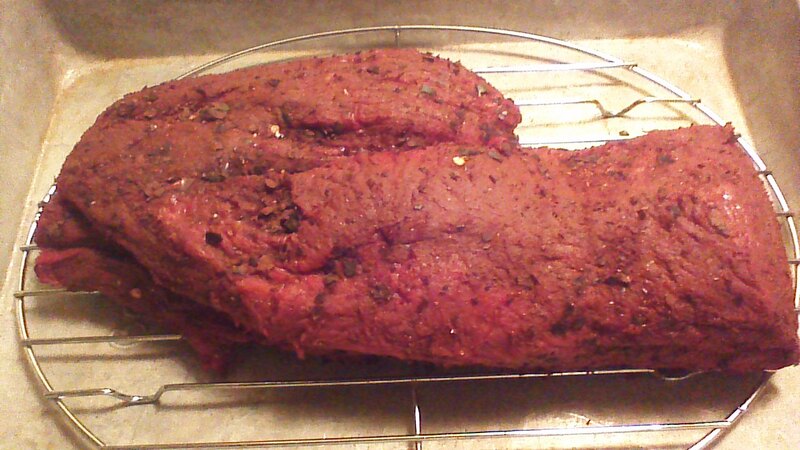 Step 2) Rub pepper and cocoa mixture all over both sides of the beef tenderloin. Place tenderloin in a pan lined with a roasting rack and allow to rest at room temperature for 30 minutes. Step 3) Roast tenderloin in a preheated, 425 degree oven for 35 – 45 minutes until a meat thermometer registers 145 degrees (for medium-rare) or 160 degrees (for medium, my personal preference). When desired meat temperature is reached, remove from oven and cover meat loosely with aluminum foil for 5 minutes. Allowing the meat to rest prevents juices from running everywhere when you slice the tenderloin! Step 4) After 5 minutes, cut tenderloin across the grain into 1 1/2 inch thick slices. Serve immediately with a green salad and the starch (potatoes, yams, or perhaps squash) of your choice.